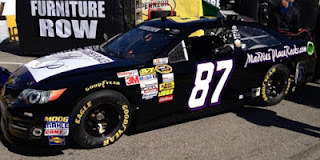 Joe Nemechek picked up the 31st last-place finish of his NASCAR Sprint Cup Series career in Sunday’s Daytona 500 at the Daytona International Speedway when his #87 MaddiesPlaceRocks.com / D.A.B. Constructors Toyota fell out with engine problems after he completed 42 of the race’s 200 laps. 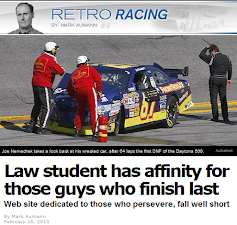 The finish was Nemechek’s first since last fall at Atlanta, twelve races ago. 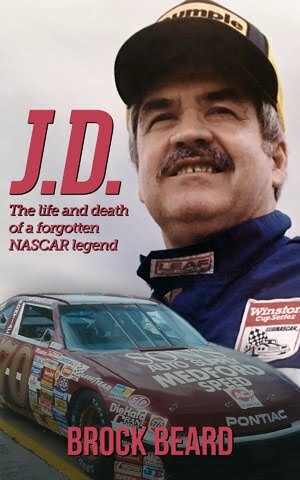 He now stands just one finish short of tying the all-time Cup Series record of 32 last-place finishes by the late J.D. McDuffie. 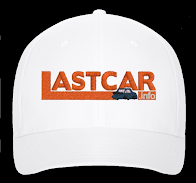 Nemechek also holds sole possession of 2nd in the all-time LASTCAR rankings, breaking a tie with Derrike Cope. He stands seven finishes behind all-time leader Jeff Green, who finished last for the 44th time the day before. Entering his fifth season as an owner-driver in the Cup Series, Nemechek formed a technical alliance with Jay Robinson, owner of the now-defunct America-Israel Racing Team that fielded the #49 Toyota in 2012. Unlike past seasons where he’d occasionally make the race on speed, however, Nemechek turned in a lap of just 190.046 mph, just 43rd-fastest out of the 45 cars attempting to qualify. Despite the short entry list, this still put him in some danger of missing the race. Thanks to a 13th-place finish in Budweiser Duel Race 1 on Thursday, Nemechek scored the 27th starting spot in Sunday’s field. Better yet, by the end of the week, Nemechek’s plain black Toyota acquired a plethora of sponsors and looked prepared to run the full race. On Sunday, Michael Waltrip’s Toyota was the first to fall to the rear, but Nemechek fell to 43rd, lost the draft, and was lapped soon after. The first caution for debris gave him the Lucky Dog, but he went to the garage soon after the restart. At that same time, a multi-car accident exiting the tri-oval gobbled up several contenders, including Tony Stewart, Kevin Harvick, and Kasey Kahne. Stewart and Harvick sustained the most damage, and both soon fell to 41st and 42nd. Nemechek returned to the track and first Stewart, then Harvick took the 43rd spot. Stewart seemed set for his third last-place finish in the Daytona 500 (joining 2002 and 2007) while Harvick was in danger of scoring his first-ever last-place finish in a Cup points race. However, when Nemechek exited the race a second time, Stewart and Harvick managed to complete enough laps to leave Nemechek with his own third last-place finish in the Daytona 500 (joining 1995 and 2010). While Nemechek struggled, three drivers for three underfunded teams turned heads with surprising top-ten finishes. Finishing 7th was Regan Smith, driving Phoenix Racing’s #51 Guy Roofing Chevrolet. Smith, released from Furniture Row Racing late in the 2012 season, will share the #51 with several drivers in 2013, including A.J. Allmendinger and Austin Dillon. Amid offseason rumors that team owner James Finch wouldn’t even enter a car in 2013, driver and team managed to put a car together for testing in January only to lose it in a multi-car crash. On Thursday, Smith’s next car was damaged in a multi-car accident during the Budweiser Duels, and the backup’s transmission locked-up in practice the next day. Then, on Saturday, Smith was wrecked out of the lead coming to the checkers in the Nationwide Series race, sparking the pileup that caused Kyle Larson’s vicious hit to the catchfence. Despite all this, Smith scored Phoenix Racing’s best finish since Kurt Busch’s 3rd-place run at Sonoma last June. Finishing 9th was Michael McDowell, driving the #98 K-Love / Curb Records Ford for Phil Parsons Racing. McDowell, the two-time and defending LASTCAR Cup Series Championship, is entering his fourth season driving for owner Phil Parsons. In that time, Parsons’ team has slowly begun to move away from its start-and-park status with a handful of full-race runs. Following the team’s 2012 merger with Whitney Motorsports and the funding of record producer and longtime race owner Mike Curb, McDowell made the 500 last year and came home 30th, but still had to start-and-park for much of that year. This year, McDowell started 38th, made his way into the Top 15 around the halfway point, then held onto his best-career finish in the run to the checkers. McDowell’s best finish in 114 previous starts was 20th at Richmond in September 2008. Finishing 10th was J.J. Yeley, driving the #36 Golden Corral Chevrolet for Tommy Baldwin Racing. Yeley, an Arizona dirt tracker, once was the heir-apparent to drive the #18 vacated by Bobby Labonte in 2006. Yeley struggled in his years for Joe Gibbs Racing and soon found himself moving from one ride to the next. Last season, Yeley missed the 500 altogether, finishing last in his Budweiser Duel while driving for America-Israel Racing. This year, Yeley was tabbed as the driver of Tommy Baldwin, Jr.’s new second team. It was a difficult 2012 for Baldwin, who helped keep Stewart-Haas’ #10 in the Top 35 for Danica Patrick. However, he then acquired the prized #7 once driven by Baldwin’s father in the NASCAR Modified Series, letting Dave Blaney run the number in 2013. The team’s #36, debuted in 2009, was thus relegated to Baldwin’s second team, which went to Yeley. Golden Corral continued its sponsorship of the #36 in the restrictor-plate races, and for the second time since 2011, the famous “Top 10 Kids Eat Free” promotion paid dividends. Yeley’s 10th-place run is his best finish since a 3rd in the rain-shortened race at Loudon, New Hampshire in July 2008. *This was Nemechek’s third last-place finish in the Daytona 500, and all three were in Nemechek’s self-owned #87. The first came in 1995, when his Burger King Chevrolet crashed with Brett Bodine after eight laps. The other came in 2010, when his England’s Stove Works Toyota was involved in a single-car accident after 64 laps. 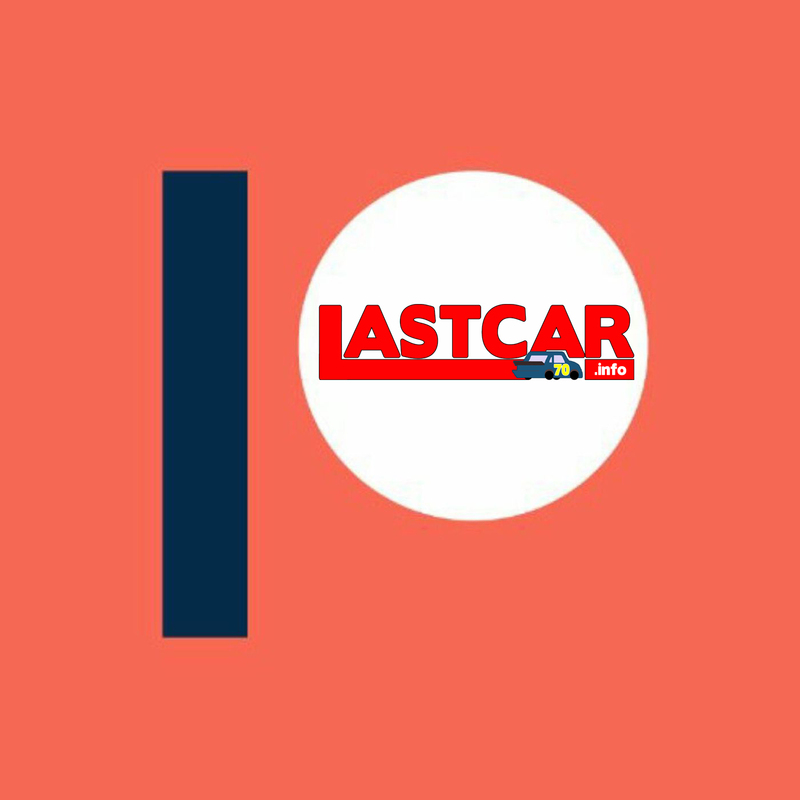 Congratulations to last year's LASTCAR champion for his great finish. A good day for underdog teams. Anyone else wants a FREE BURGER KING GIFTCARD?